because big data sets in many cases just an artificial union of almost unrelated to each other big data subsets. 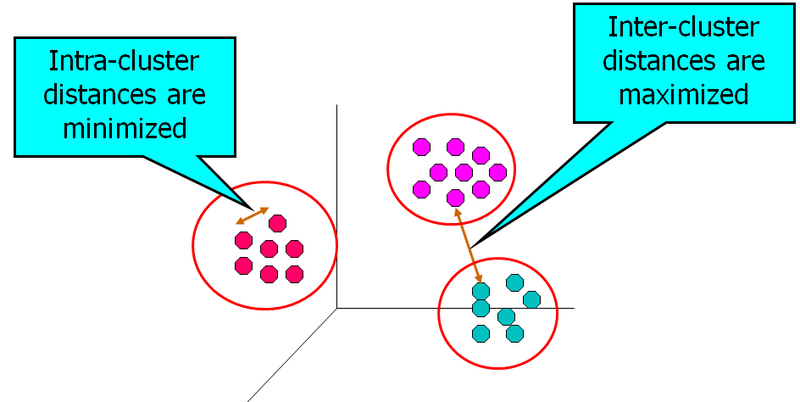 Cluster analysis usually can be defined as method to find groups of objects such that the objects in a group will be similar (or related) to one another and different from (or unrelated to) the objects in other groups. Main reason to use such method is to …reduce the size of large data sets! Some people confuse the clustering with classification, segmentation, partitioning or results of queries – it will be a mistake. clustering (e.g. partitional, separated, center-based, contigous, density-bases, hierarchical) and algorithm (e.g. K-means). 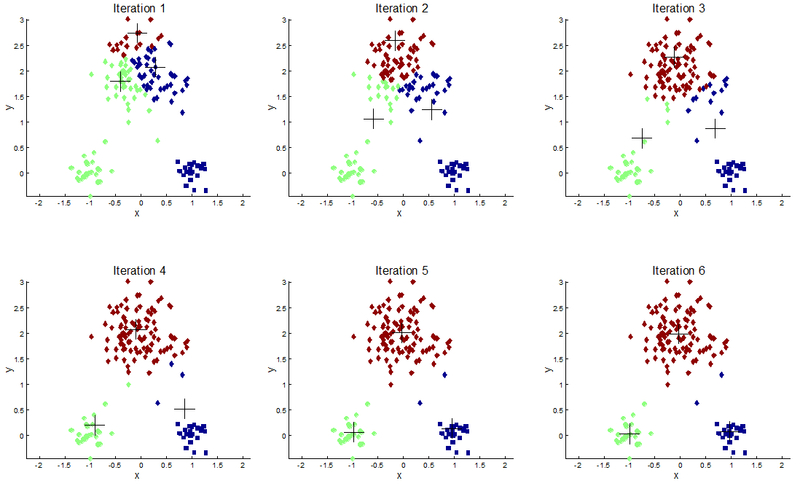 K-Means algorithm is sensitive to size of clusters, densities of datapoints, non-globular shapes of clusters and of course to outliers, but in combination with proper Data Visualization those problems can be solved in most cases.